Junior history major Tyler Fleming was selected Saturday as the editor-in-chief of The Daily Tar Heel newspaper for the 2017-18 school year. He will replace current editor-in-chief Jane Wester. 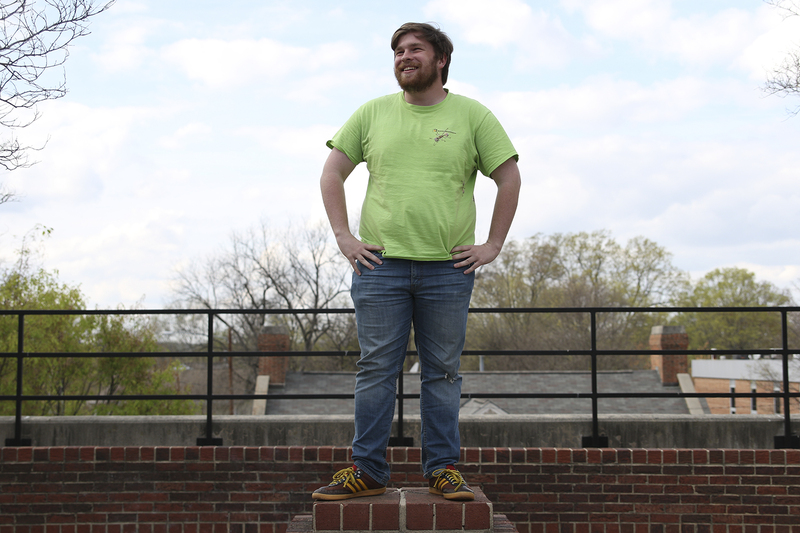 Fleming is the current opinion editor for the DTH. He said his selection is a great opportunity for change at the paper. “Specifically, I want to find a new, cheaper building for us to call home,” Fleming said. Fleming said the changes his platform will bring will not be easy, but he is confident the staff, management and editors of the paper can handle change. “I think if we can get all hands on deck and get people really passionate about protecting this paper, that we will find the solution and that we can continue this paper’s legacy well into the future,” he said. Journalism graduate student Deborah Dwyer, a member of Saturday’s editor-in-chief selection committee, said she thinks Fleming has an understanding of the journalism component, the public engagement component and the business and financial component of student journalism. “He proved to us in this room that he has a good handle on the financial issues and what pressures are upon the paper, and how you might start to pave the way to a more viable economic model,” Dwyer said. Sharif Durhams, editor-in-chief of the DTH for the 1998-99 school year and a member of Saturday’s selection committee, said Fleming has great leadership capacity, lots of experience with news organizations and a smart budget plan. “When you’re the editor, you don’t know what you’re going to encounter,” Durhams said. Fleming said he wants to build resources for future DTH staff members to draw on. “So one thing that I’m concerned about, not just with the paper staff that exists currently, but DTHers I’m never going to personally know 20 years down the road,” he said. A version of this story was originally published in the April 3 edition of The Daily Tar Heel. Posted in Alumnotes, DTH staff news.